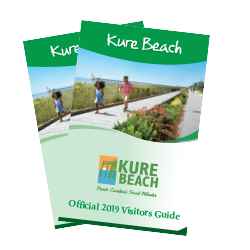 Parks & Activities at Kure Beach, N.C.
Kure Beach is home to several parks all with a natural coastal setting. 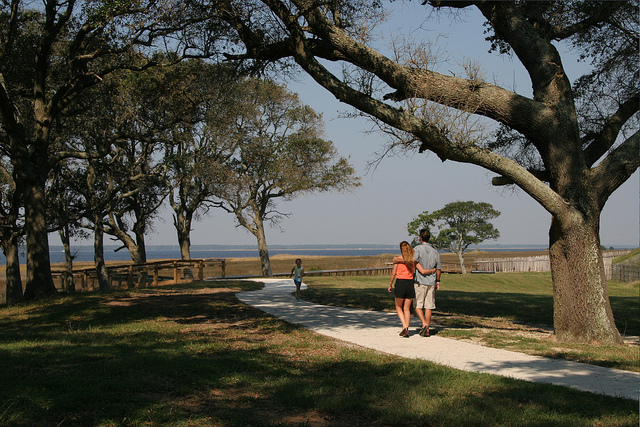 From playing on a pirate playground, to spotting sea life, to trying your hand at a round of disc golf, there are a variety of activities to enjoy at one of the beach's scenic parks. 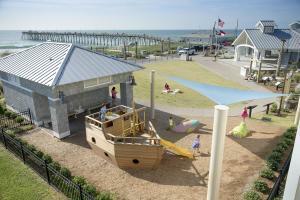 Located in the heart of Kure Beach, Ocean Front Park offers beautiful ocean views, as well as a boardwalk, that visitors can stroll along, swings perfect for two and a playground, complete with a pirate ship, that kids love to play on. The park also features an open-air pavilion where concerts, weddings, and family-friendly events including Boogie in the Park and Storytime by the Sea are held throughout the year. Enjoy a leisurely beach day and walk along one of the few remaining undeveloped stretches of shoreline on the southern coast at the Fort Fisher State Recreation Area, where you can comb the beach for sea stars, keyhole urchins and whelk shells in a beautiful natural setting. With six miles of beach to explore and coastal creatures including pelicans and loggerhead sea turtles, it offers the chance to see these unique animals in their natural habitat. 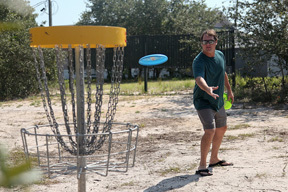 Get competitive at Joe Eakes Park where you can play a round of disc golf, a game of bocce ball, tennis, basketball and more. The park also features a playground, picnic areas as well as the Gurney Hood Barking Lot dog park where dogs can run and play.